Are you interested in stepping up your photographic game? Great! 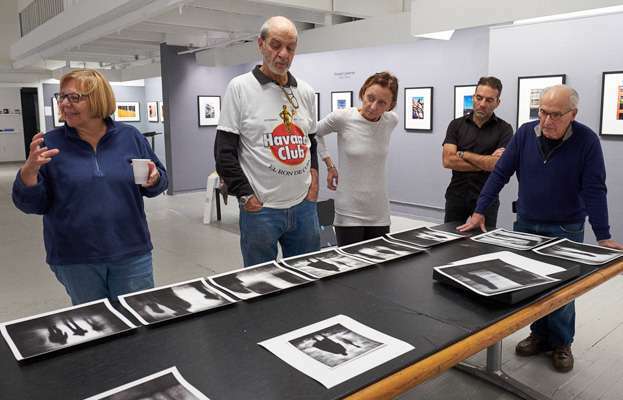 The Personal Portfolio Review is designed to give you an opportunity to present and discuss your work with Soho Photo Gallery member photographers. 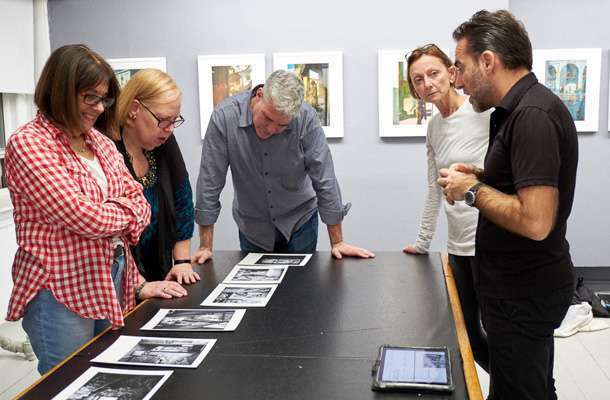 We’ll provide guidance on techniques, suggestions to improve your skills as a photographer and recommendations for creating and refining your photographic vision. You’ll leave with the sort of practical feedback you can use to move your photography to another level. The Personal Portfolio Review is scheduled for the first Wednesday of every month (except August) from 6:00 to 8:15pm. A list of dates and sessions are indicated when you register. We can accommodate 12 photographers in an evening. Registrations are accepted on a first-come, first-served basis. For each evening, there are four sessions from which to choose; each session runs 30 minutes. After you register you will receive an email confirming your date and session time. You will also receive a reminder several days before your scheduled date. We ask you to bring up to 20 images that reflects your area of photographic interest (e.g. landscapes, cityscapes, abstracts, portraits, etc.) or bring a portfolio of up to 20 images on a recent project. While prints are preferred, digital images presented on your personal tablet or laptop can be accommodated. In addition to preparing a portfolio, we encourage you to establish a specific objective for the review. Consider on what you would like the reviewers to focus. What responses would be most helpful? For example, would you like them to provide general feedback about your work? Specific guidance on a project? Assist you with a technical challenge or on a photographic method? Help with developing new areas of photographic interest? We hope you will take advantage of this opportunity to show us your work and receive valuable feedback from our members. Cancellations – if you are unable to attend, please give us at least a 24 hr. notice by contacting the coordinator using the form below. You’ll have the option of rescheduling or receiving a full refund. If the gallery needs to cancel (e.g. inclement weather), we will give you the option of rescheduling or a refund.